Explanation: Batten down the hatches, here comes another Martian dust storm. The thin soil on Mars can be picked up by high winds to create dust storms that sweep down plains and can sometimes envelop most of the planet. 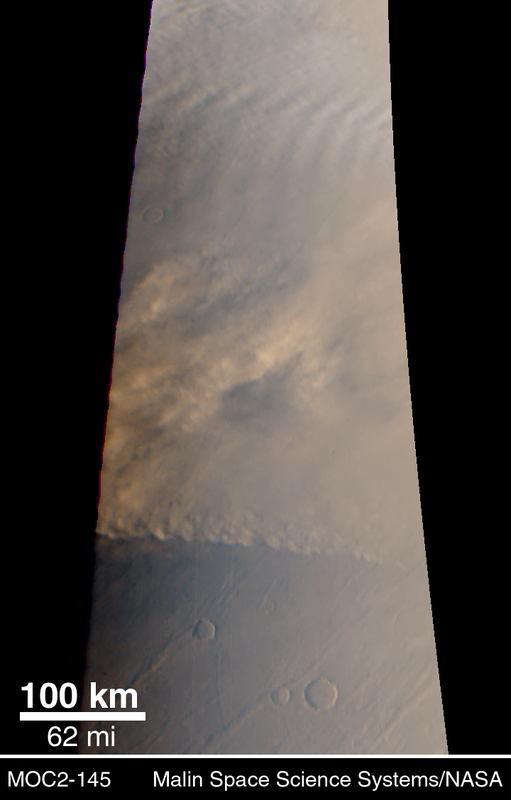 The Mars Global Surveyor spacecraft currently orbiting Mars recently photographed such a dust storm raging on Mars' northern plains. The advancing storm front can be seen dividing clear and obscured areas on the photograph on the left. 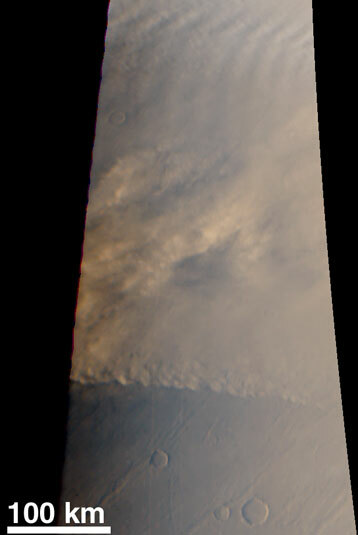 Even away from dust storms, isolated tornado like swirls called dust devils can reach 8-kilometers high and also be created by Martian winds. Studying wind phenomena on Mars provides valuable insight towards understand similar phenomena here on Earth.